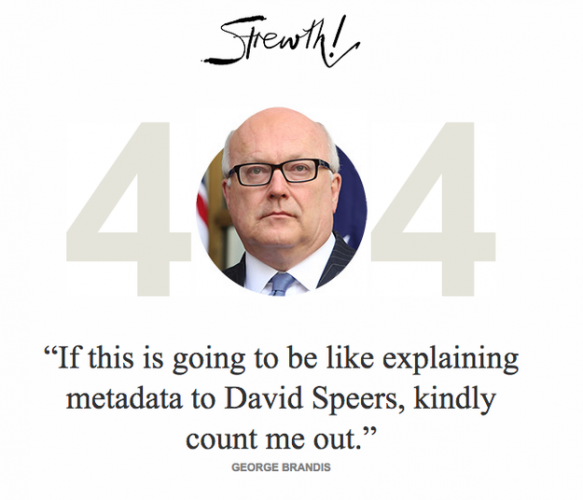 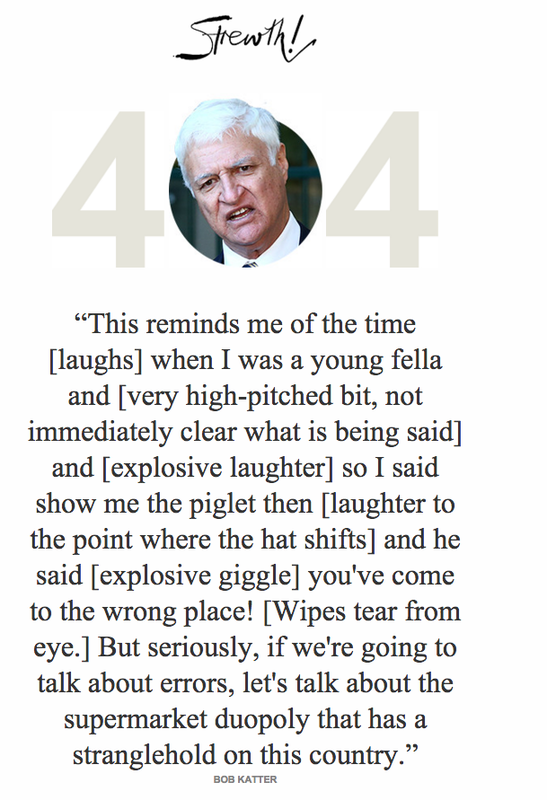 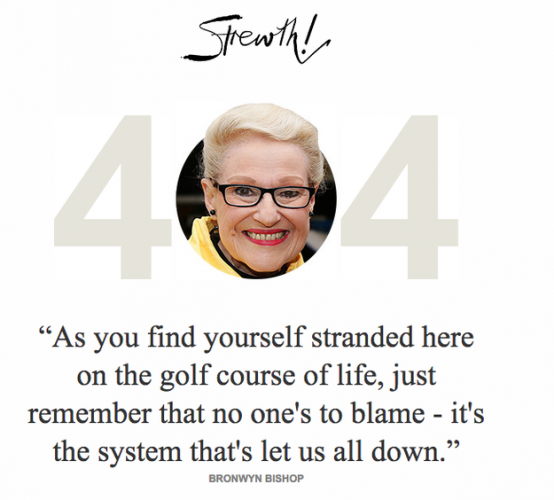 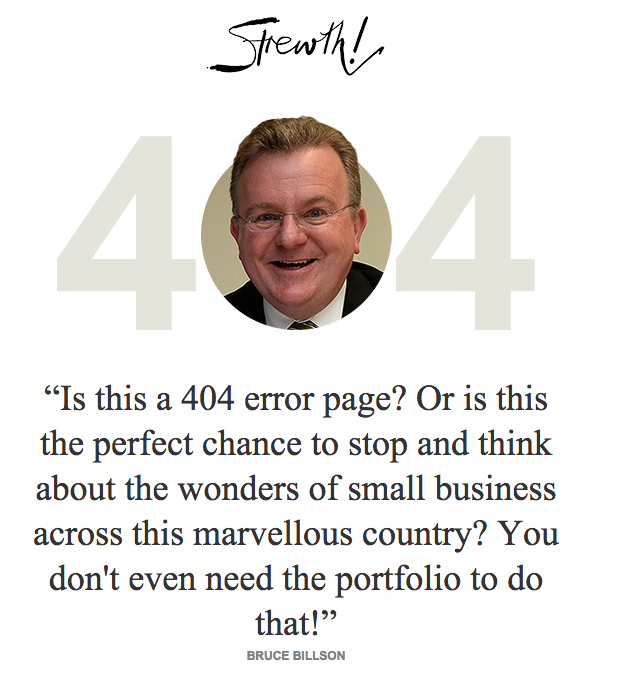 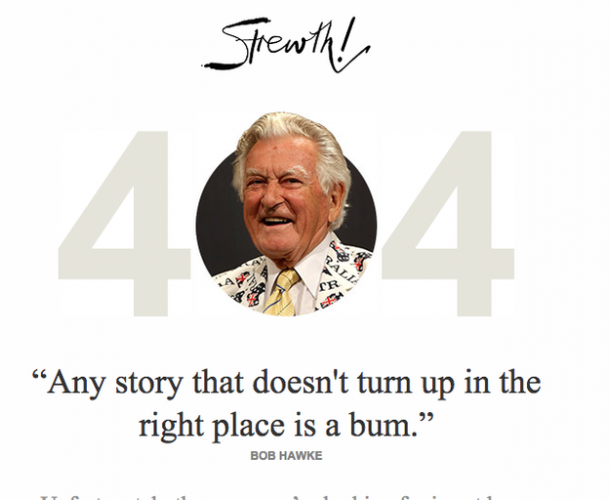 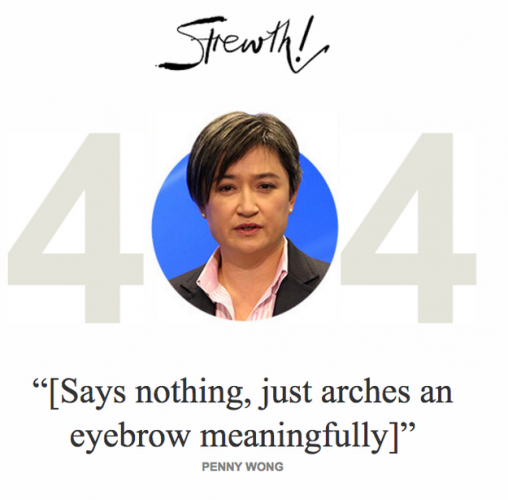 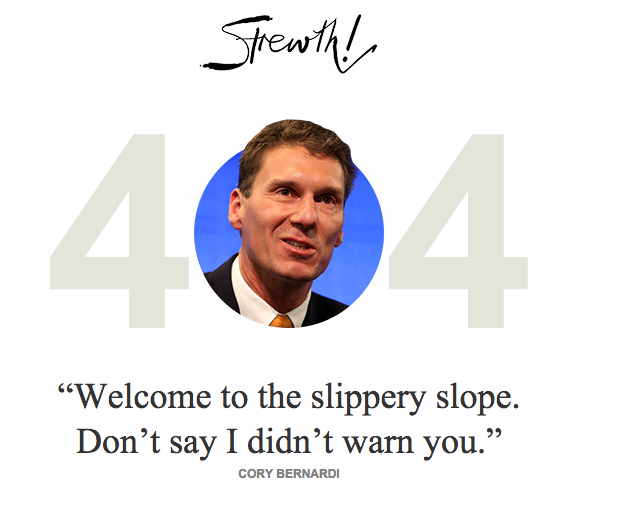 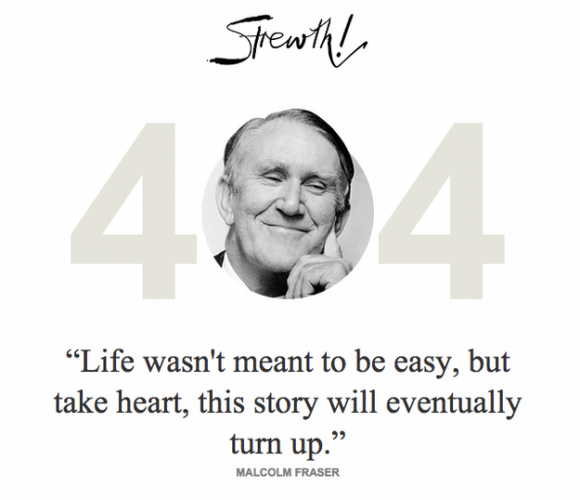 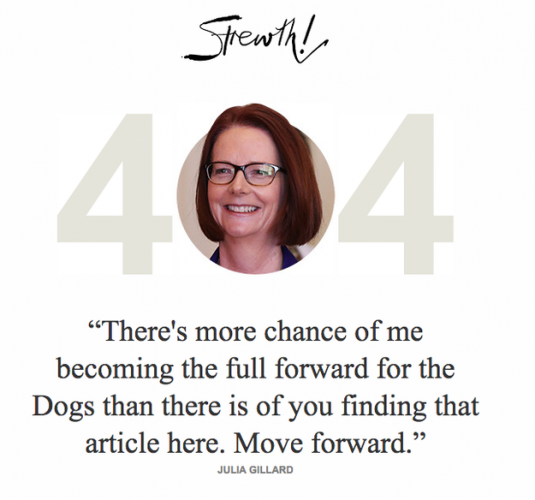 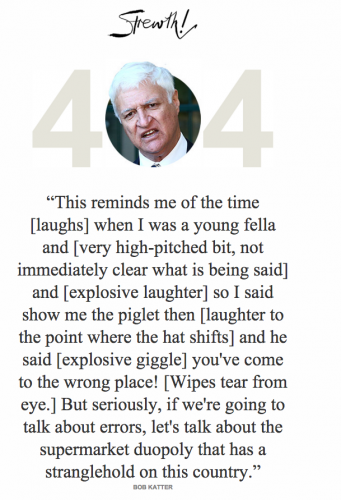 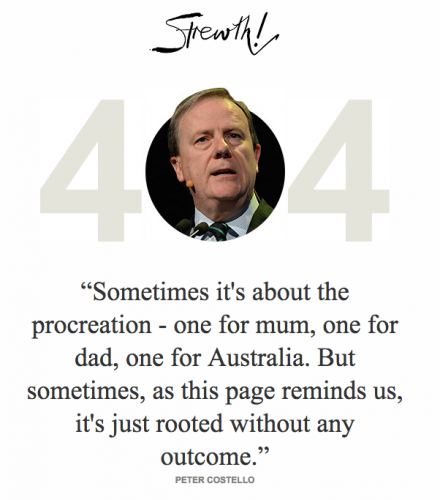 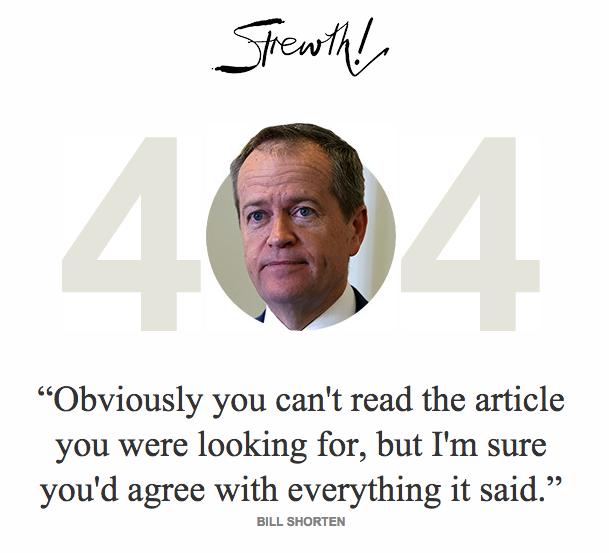 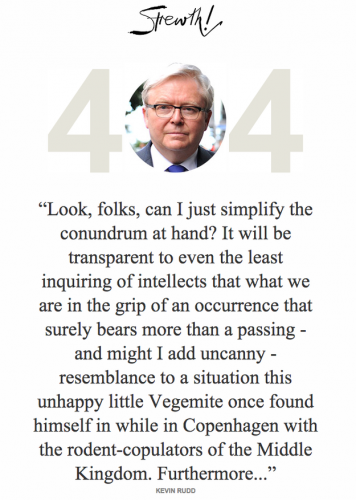 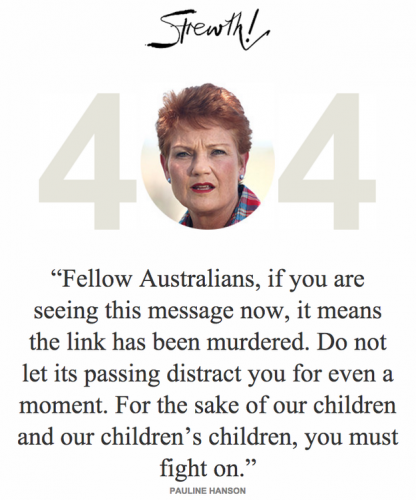 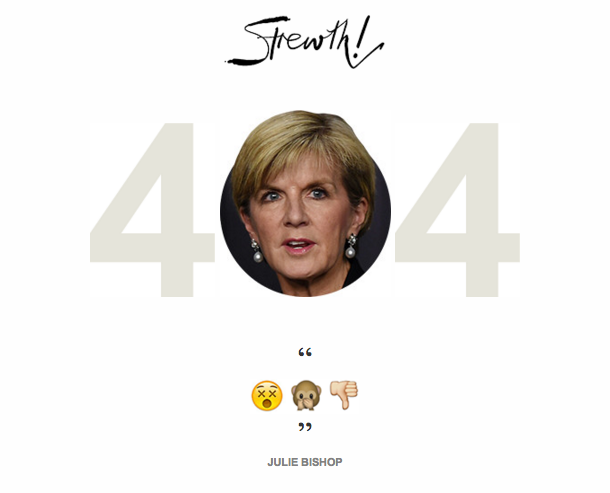 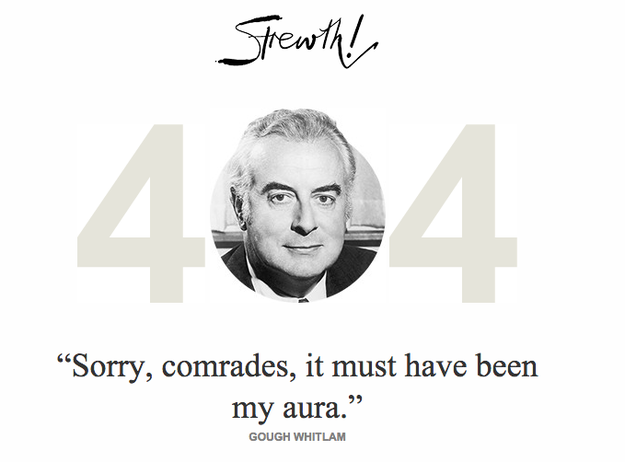 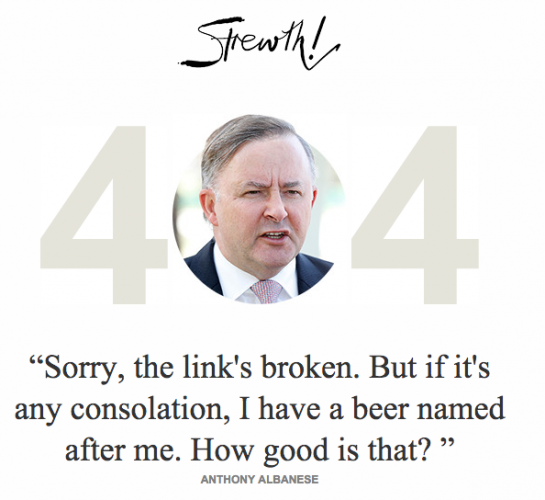 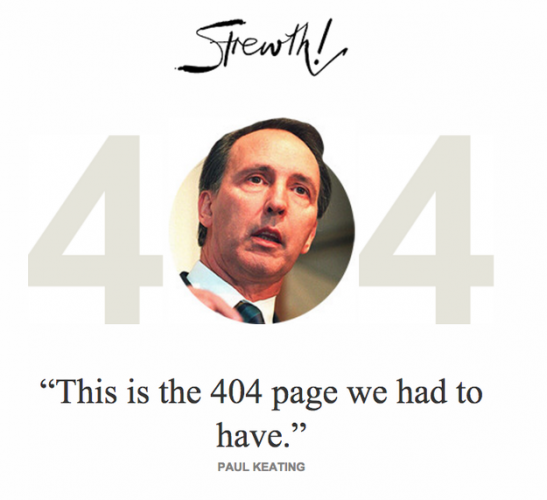 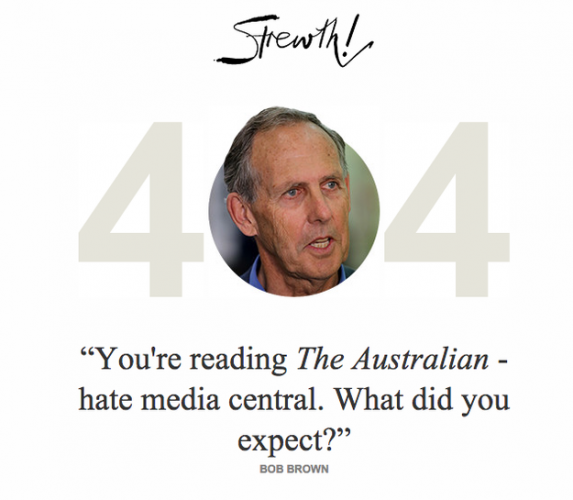 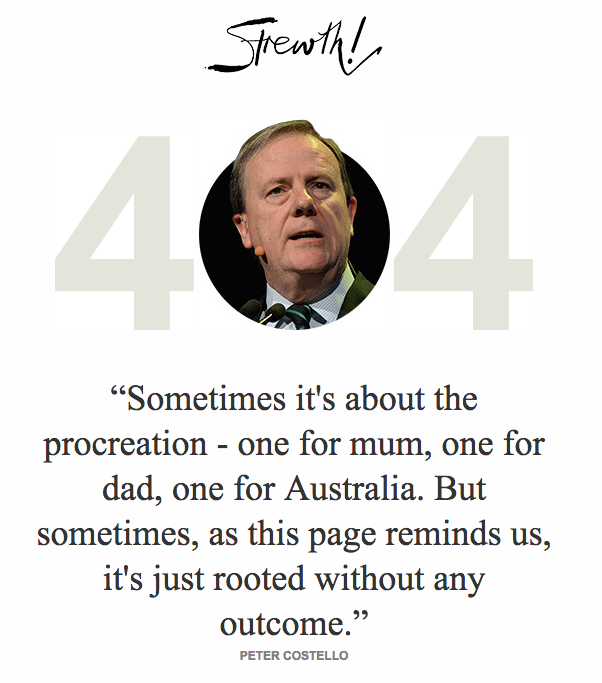 People browsing The Australian are being greeted with some Auspol humour when they hit the 404 page (the webpage which alerts you to a broken page/link); a collection of Australian politicians are sad that you’ve hit the error page. 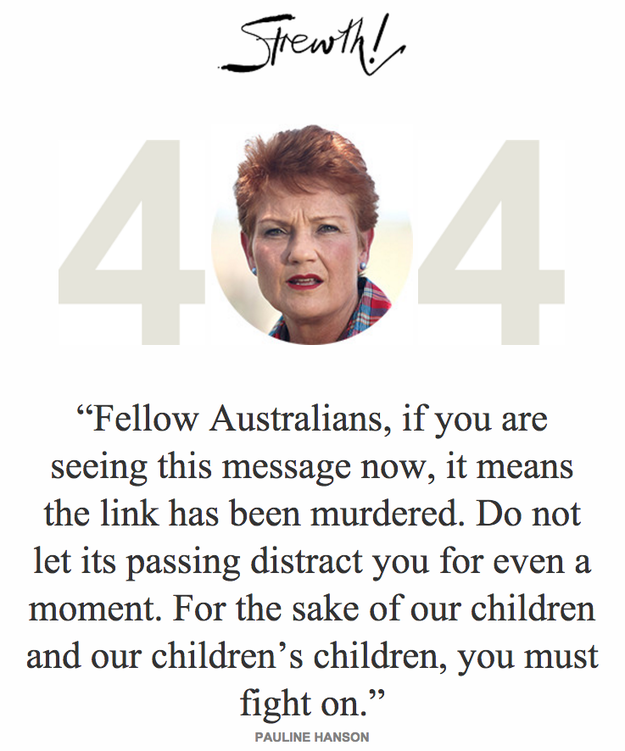 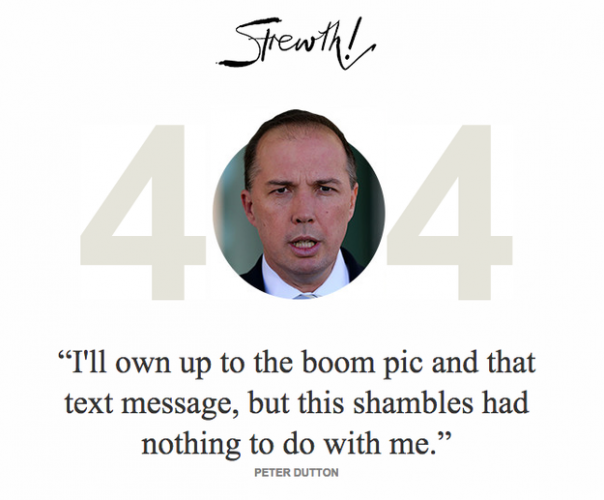 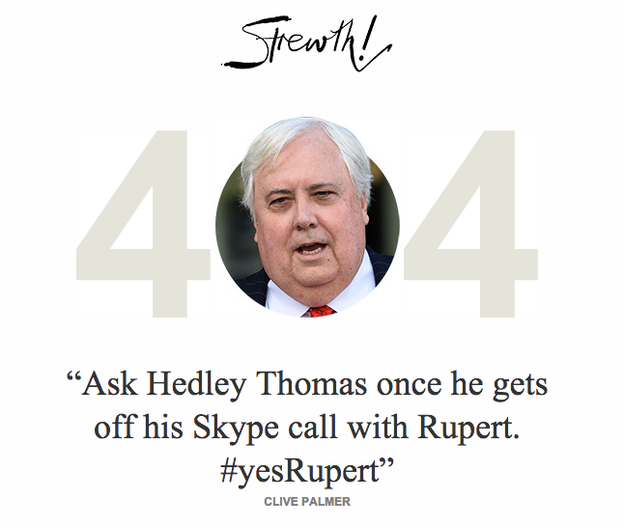 The Auspol error pages have been live for two weeks but Australian media has only just caught onto theses beauties. 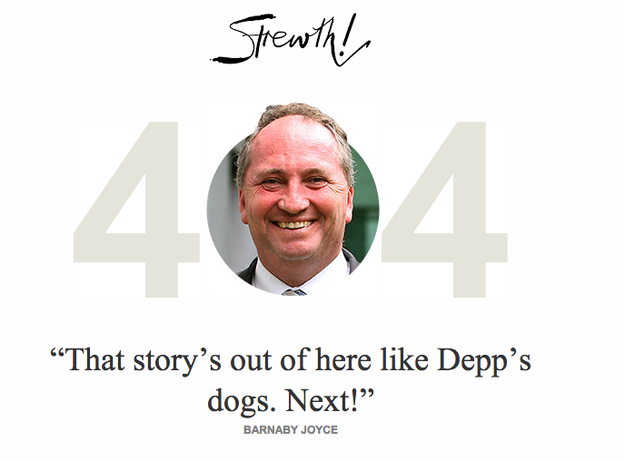 The genius behind these political jokes is The Australian‘s political columnist James Jeffrey.